While it seems like a new best-ever travel mug comes out multiple times a year, I’ve never managed to find a water bottle I truly love, even after years of testing everything available in the space... until LARQ. LARQ is a self-purifying water bottle. With a tap of the button on the lid, and automatically every 2 hours, the stainless steel lining of the LARQ gets a UV light bath that neutralizes pretty much all life inside. If you’re really worried, there';s an even more powerful “adventure mode” that adds a lot more 9s to the end of the “99.99%” of bacteria and viruses LARQ takes care of. Specifically, the light in question is LED UV-C, which is mercury free and “non-toxic”. The light doesn’t remove fluoride or heavy metals, and there are no replacement filters to buy. 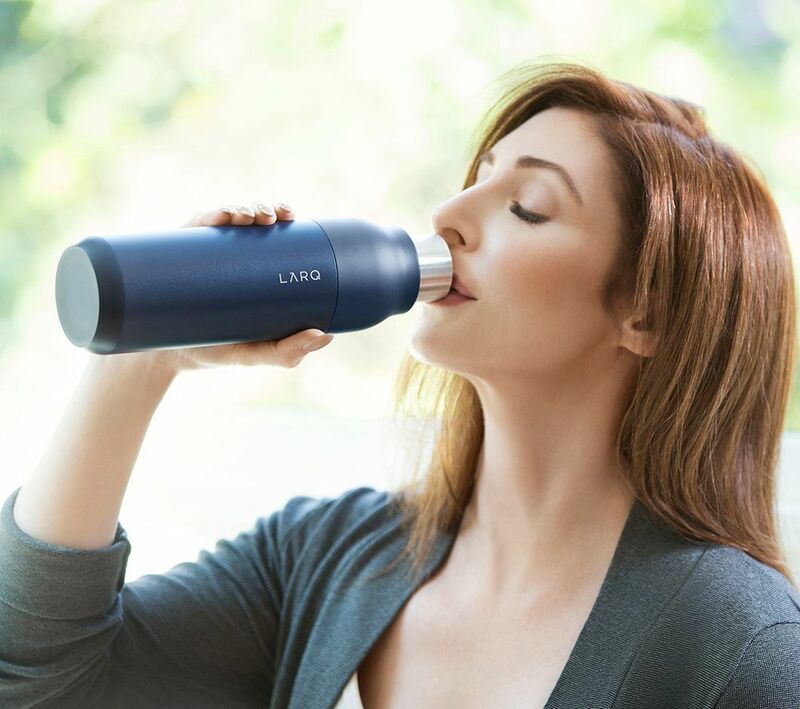 Similar to countless other stainless steel bottles, LARQ will keep your beverages cold for around 24 hours and hot for around 12. While you shouldn't rely on the UV light alone to clean up things like milk residue, you can absolutely use LARQ for your coffee or tea as well as your water. Wishing for the LARQ to be ceramic-lined or to have a drink-through lid, which are my ideal preferences, don’t make much sense given the design and function of the product. What would have been great to see though is USB-C charging in the lid. The LARQ is already the only product I travel with that doesn’t support that current standard, but given that the battery lasts for around two months, this is an extremely minor criticism. Available in five beautiful colorways, matching or exceeding the temperature regulation of the competition, and with the ability to clean your water even while camping, LARQ is a fantastic product that travelers, hikers, commuters, and everyone in between should add to their bags.